Nicholas Herrel, Ph.D., Esq. concentrates his practice in domestic and foreign patent preparation, prosecution, and counseling in the life science and chemical arts. Nick regularly prepares freedom-to-operate and patentability searches, analysis, and opinions, as well as drafts patent applications and prosecute domestic and foreign patent applications. Prior to his outside counsel experience, he was in-house Patent Counsel at a Fortune 100 global technology company. Prior to the start of Nick’s legal career, he performed biomedical research for over 7 years, where he focused on viral and cancer biology. During his scientific career, he has examined viral tropism, performed epidemiological studies examining microbial infections and cancer, and taught undergraduate, graduate, and medical students in numerous areas, including virology, bacteriology, immunology, parasitology, chemistry, biochemistry, and advanced cell biology, and laboratory theory and techniques. L.A. Dwarica and Nicholas R. Herre!, Federal Preemption of Drugs and Devices-Consequences for Injured Patients?, The Health Lawyer, accepted for publication Aug. 2012. Nicholas R. Herre!, N. Johnson, J.E. Cameron, C. Cheeks, J. Leigh, and M.E. Hagensee, Development and Validation of a HPV-32 Specific PCR Assay, Virology Journal, Jun. 27; 2009. E.F. Dunne, C.M. Nielson, M.E. Hagensee, M.R. Papenfuss, R.B. Harris, Nicholas R. Herre!, J. Gourlie, M. Abrahamsen, L.E. Markowitz, and A.R. Giuliano, HPV16/11, 16, 18 Seroprevalence in Men in Two US Cities, Sexually Transmitted Diseases, Nov. 2009. Team Cantor Colburn and more than a thousand participants joined 150 communities nationwide on October 18, 2018 at Bushnell Park, in Hartford, Connecticut, in attending a Light The Night Walk in support of the Leukemia & Lymphoma Society (LLS)’s mission to fund critical and groundbreaking research to discover treatments and cures for blood Team Cantor Colburn raised more than $5,000. Cantor Colburn patent attorney Nicholas Herrel, Ph.D., Esq. was the 2018 Walk Chair, leading the business community in participation and fundraising. Dr. Herrel is a Ph.D. microbiologist, and before entering private practice, he was a research scientist studying microbial infections and cancer. Cantor Colburn Expands Life Sciences Practice Group with Addition of Nicholas Herrel, Ph.D., Esq. Cantor Colburn LLP has expanded its Life Sciences Practice Group with the addition of Nicholas Herrel, Ph.D. as an associate in the firm’s Hartford headquarters office. 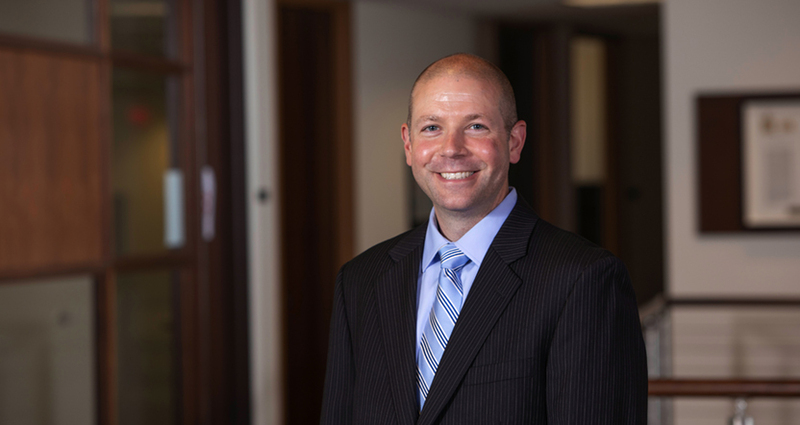 Dr. Herrel joins the firm from Locke Lord LLP, where he worked with Bryan Zerhusen, Ph.D., who recently joined Cantor Colburn as Chair of the Life Sciences Practice Group.